One of my favorite meditations is on a waterfall. I have a very specific waterfall I meditate on which is not one I have ever seen, but it is one I have used my own imagination to create. I cannot adequately describe it, but it of course is quite beautiful and includes a large waterfall, a cave behind the waterfall, and a huge pool which it empties into. 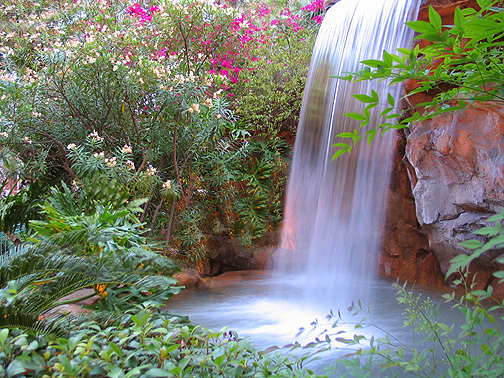 The pool and waterfall are surrounded by a variety of flora in various sizes and colors, producing wonderful fragrances. There is also a rocky ledge overlooking the pool opposite the waterfall. It is there where Jesus sits. 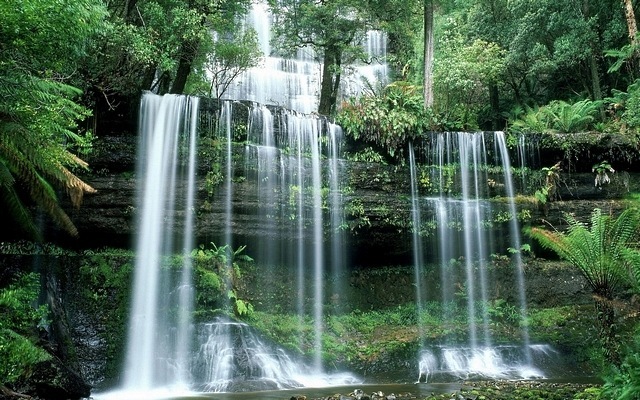 Water and waterfalls offer a multitude of opportunities to relax and meditate on. 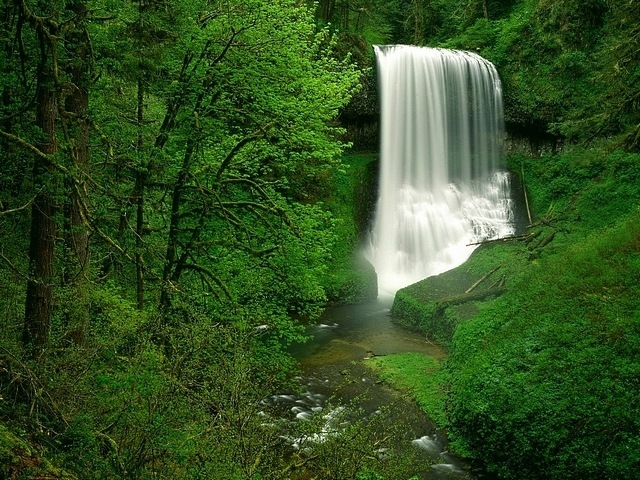 We can simply listen for the sound of a waterfall, or simply seeing water flow can be mind freeing and totally relaxing. 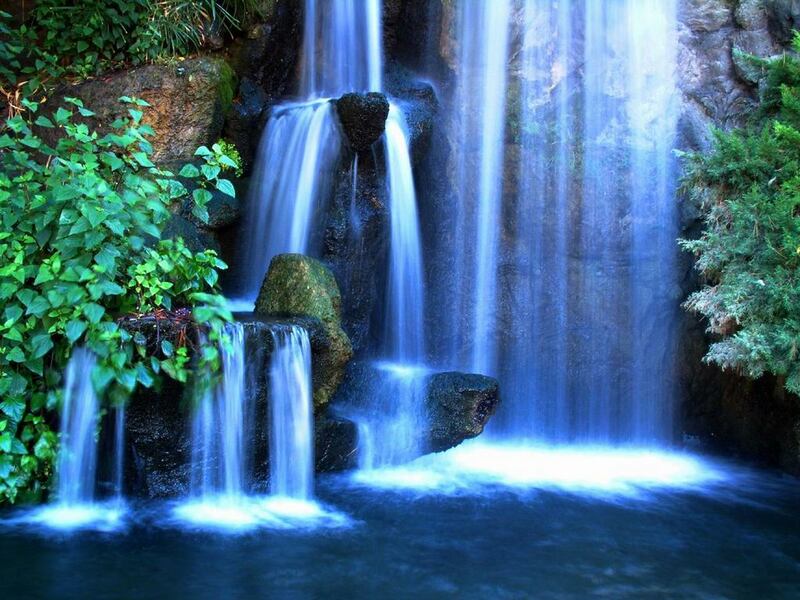 Other meditations can include a much deeper appreciation of waterfalls by contemplating a multitude of deeply spiritual meanings rooted in water and in how it flows. Scriptures are filled with references to water, how it flows, and as the source of life. From baptism to blessings flowing, water is a strongly and pervasively symbolic. Even simply meditating on the word flow can be extremely gratifying. Today I had the pleasure of reading this scripture from Isaiah: “And you shall be like a watered garden, like a flowing spring whose waters never fail.” What a perfect way to head to the waterfall! I love this post! great visuals, I feel like i’m there and can smell the brine.